A tire pressure gauge makes a great gift for anyone that drives a vehicle. Properly inflated tires increases tread life and save money at the gas pumps. Improperly inflated tires aren’t just costly, they’re outright dangerous. 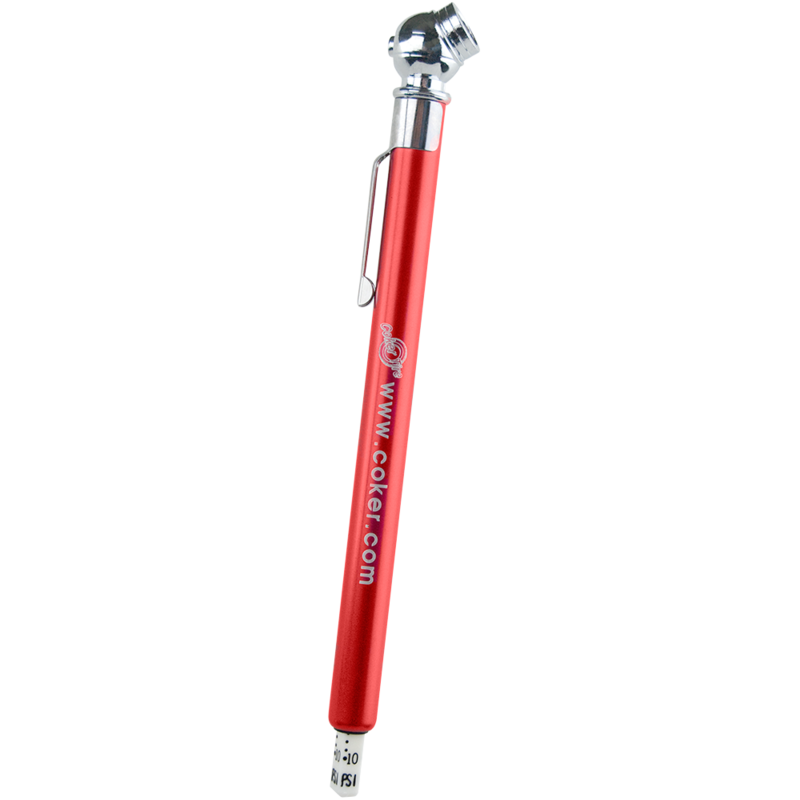 This red Tire Air Pressure Gauge features the Coker Tire Company logo. This Tire Pressure Gauge is small enough to fit in your pocket, and is readily available to measure tire pressure from 20 to 120 lbs. Convenient clasp on side to grips a pocket. Improve your fuel efficiency and tread life with properly inflated tires. WARNING: Choking Hazard-Small parts. Not suitable for children under 3 years. What tire pressure should I use in a H70 14" bias tire? We recommend following the tire pressure recommendation set by the vehicle manufacturer, not to exceed 35 PSI.